The holidays are always filled with food, family, friends and desserts. 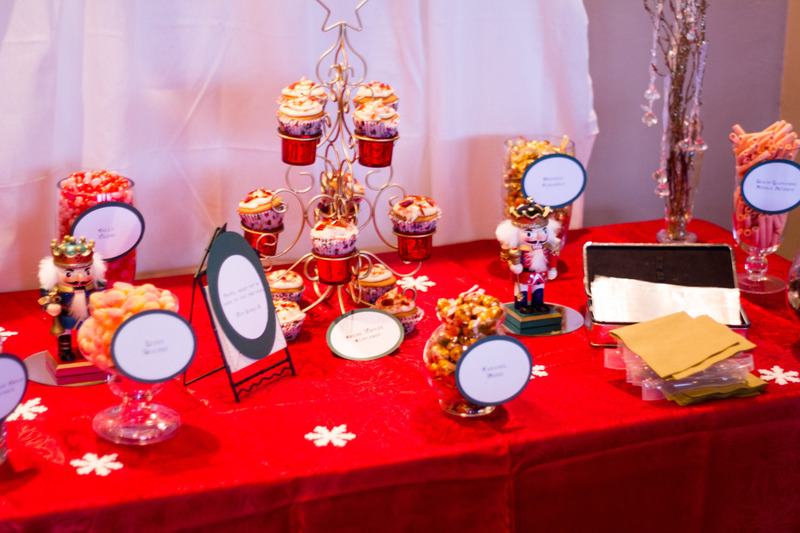 Why not have a focal point at your holiday or family party: A Christmas Candy Bar! As mentioned previously with the Hallowe’en Candy Bar, no party, or budget, is too small! 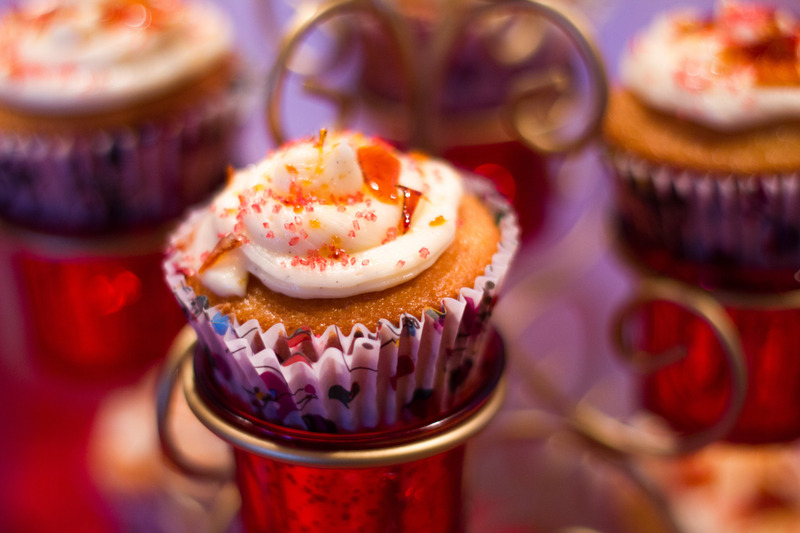 Requests can always be accommodated as well as any dietary restrictions! 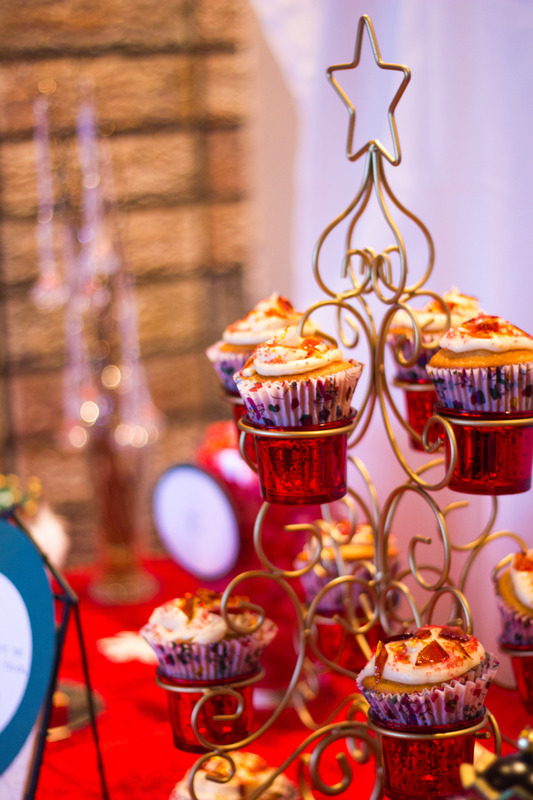 If candy is not your thing, you can have cupcakes, elaborate chocolate dipped Oreos, marshmallow pops, or butter cookies, just to name a few. OR, if you would like one of our representatives to dress up your existing arrangement of desserts, we can do that also! Event Stylings can dress up any occasion!! 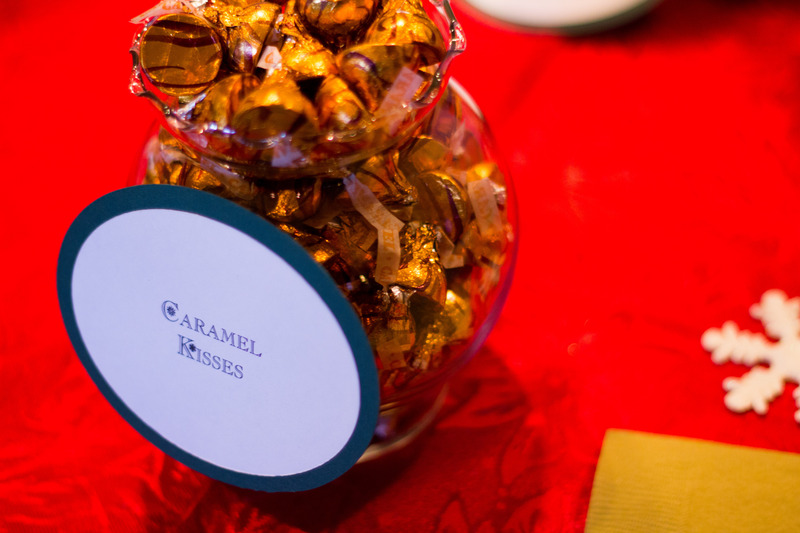 As noted with this Candy Bar, the table is not elaborate, however, we were able to make the table “pop” with a deep red table cloth and forest green labels. The white curtain in the back added the final touch needed to make everything come together. Small embellishments and little details is what we do best. 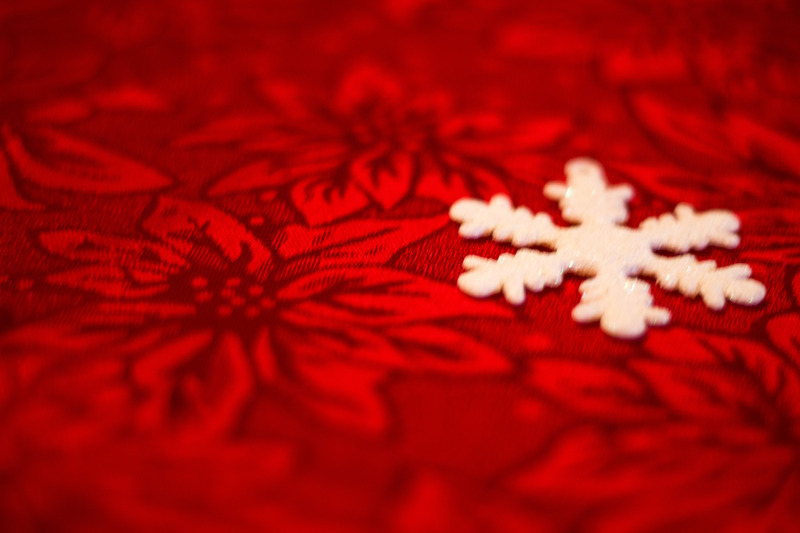 White, glittery snow flakes placed perfectly on the table add the embellishments that your guests will notice. 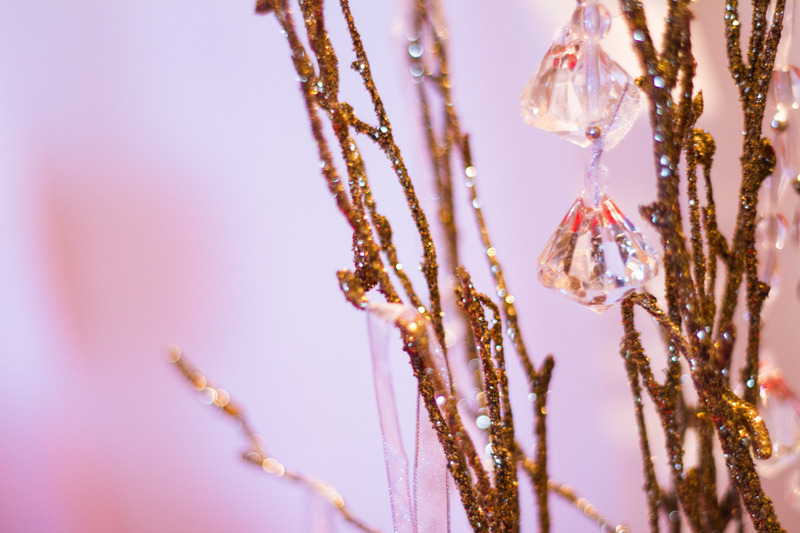 Crystal ornaments hanging from gold, glittery branches is just one example of the detail. 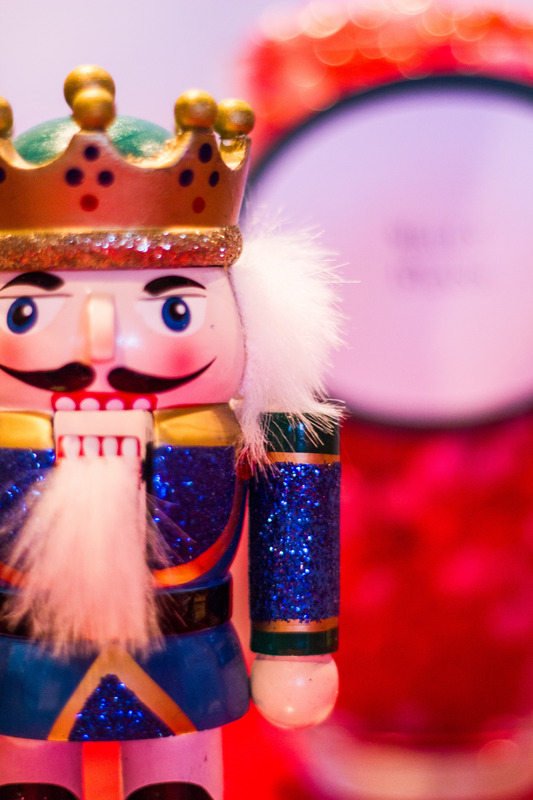 Note also the nutcrackers and gold Christmas tree cupcake stand! Let Event Stylings partake in your holiday festivities and have your guests amazed with the party that you hosted, this year.